In the far reaches of the South Pacific lies the country of Vanuatu, a small cluster of islands about 1,600 miles east of Australia. This hard-to-reach archipelago covers an area smaller than Hawaii. Despite the country’s minute size, its islands are immensely diverse. Vanuatu has one of the highest language densities in the world (112 to be precise) and its forests are teeming with a rich array of local plant life. The country’s plant diversity has never been fully recorded, however, and the country’s rapid industrialization is putting local plant knowledge at risk. So, for the past five years, a team of researchers led by the New York Botanical Garden has been working on a project to document the country’s plants, their names in local dialects and their indigenous uses. 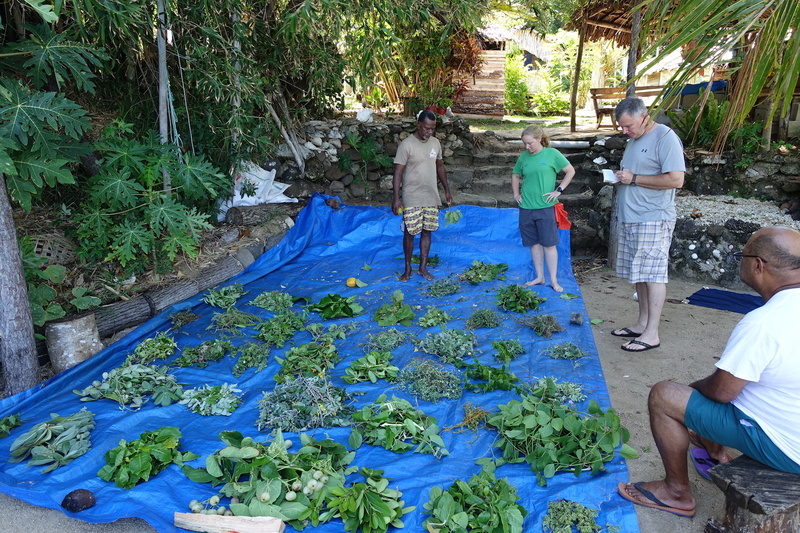 The researchers are finding that Vanuatu’s plant diversity and language diversity are intricately linked. In this podcast, I speak to Gregory Plunkett, a researcher from the New York Botanical Garden who is one of the project’s leaders, and Frazer Alo, a forestry student from Vanuatu who has been helping with their field work.